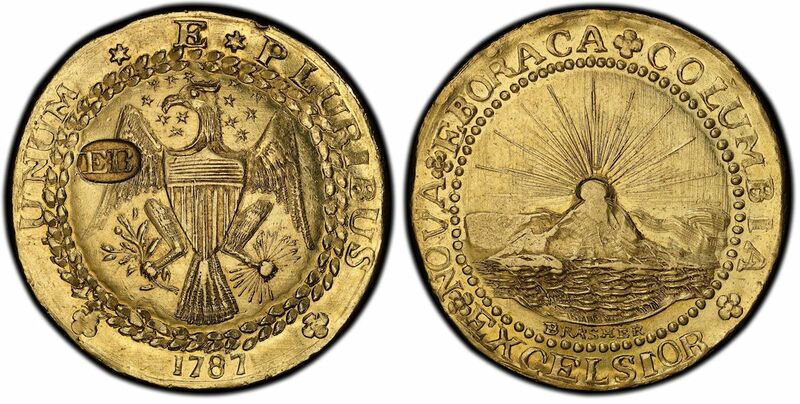 (July 26, 2018) — One of the legendary 1787 gold Brasher Doubloons and seven of the finest known 1780s New York colonial era copper coins will be displayed together for the first time in an educational exhibit hosted by Professional Coin Grading Service (www.PCGS.com) at the American Numismatic Association 2018 Philadelphia World’s Fair of Money®, August 14-18. The discovery specimen for the legendary, seven known gold 1787 Brasher Doubloons will be displayed by PCGS along with historic New York copper coins at the ANA 2018 Philadelphia World’s Fair of Money®. This famous coin was exhibited at the 1964 New York World’s Fair, was a featured display in a nationwide touring exhibit for the 1987 bicentennial of the United States Constitution and was displayed at the Epcot theme park at Walt Disney World in 1988. 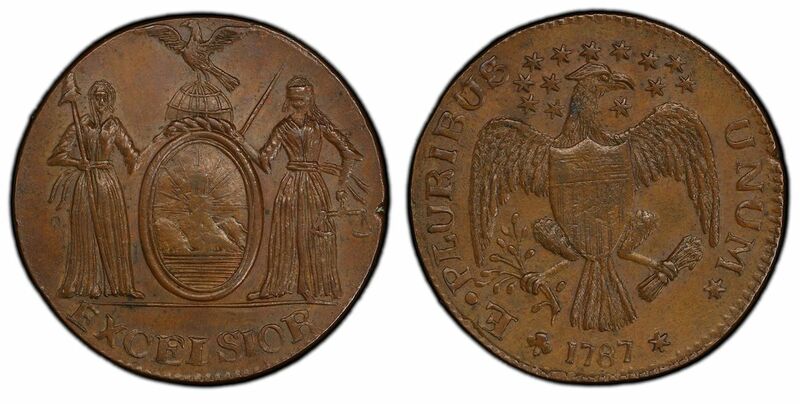 The only known mint state example of a 1787 Excelsior, Eagle Left New York copper will be among the historic early American coins on display at the PCGS booth during the ANA 2018 Philadelphia World’s Fair of Money®. 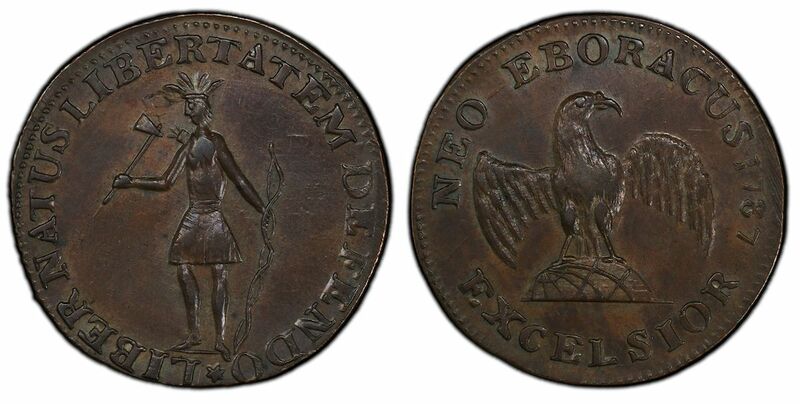 One of the finest of only about 14 known examples of the 1787 Excelsior, Standing Indian, Eagle on Globe design New York coppers will be part of the PCGS display of early American rarities at the ANA 2018 Philadelphia World’s Fair of Money®.